Thank you SO much for your encouragement. ❤ I promise I'm not moping, though – onward and upward! He probably was, come to think of it. I lived in Yellowstone. 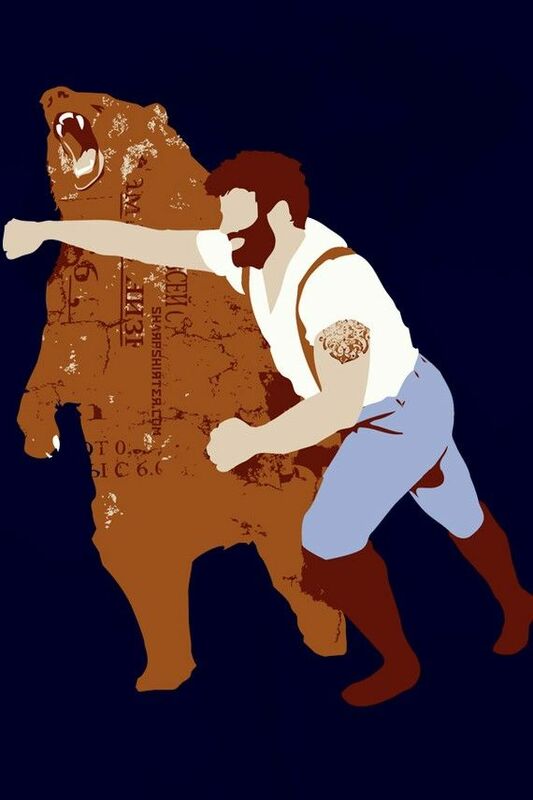 Facepunch a grizzly? No, thanks. Being a brave writer-type is SO much less dangerous, pointed rejections notwithstanding…..
And you facepunched the bear of submission, and hopefully it won’t be nearly so terrifying the next time! Just in case you didn’t know, THIS POST IS AWESOME. I am sorry you got a rejection, but I am glad you made it to the point where they were seriously looking at your work. Let me know if you try the Poms. Good luck from a ROW80 blog hopping friend. There are two things I do for rejection, the first is to find at least one other place to submit my stuff (getting back on the horse) and go and hug someone I love. This is usually because I get self-conscious and need an immediate ego boost.